The machine below was built for a well know British company that services the aerospace industry. 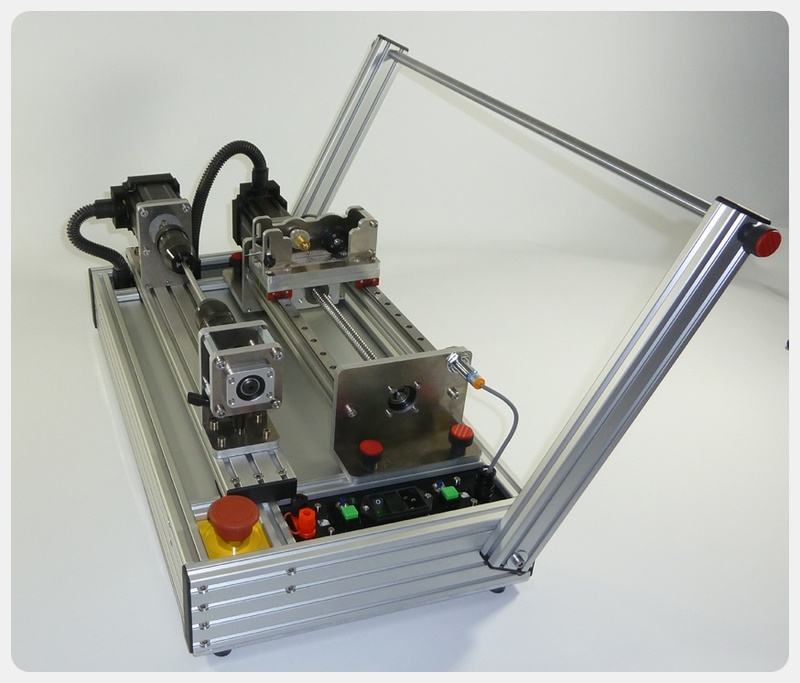 They needed a CNC Coil Winding Machine built with custom software to run their own special winding scripts. Precision was the key on this machine, as well as being able to control both the wire feeder arm and bobbin motor to high resolution steps. 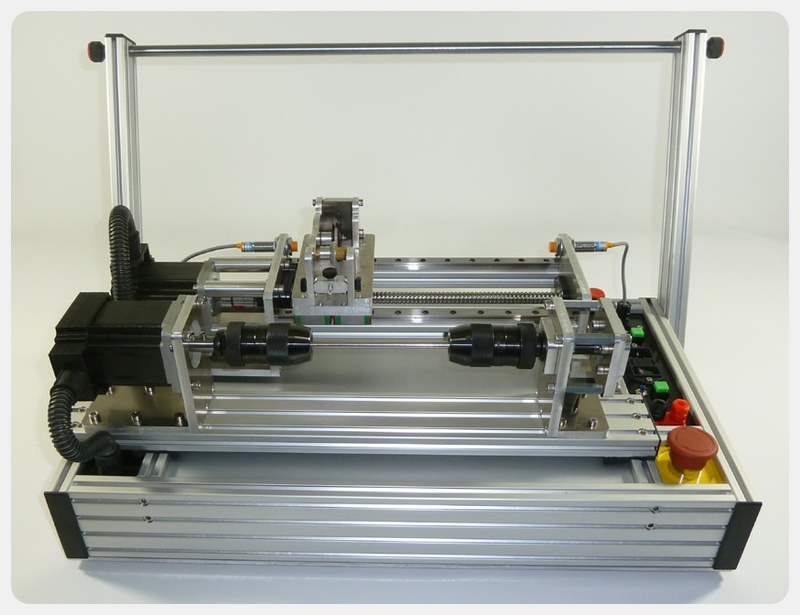 Using C5 grade ball screws and bearings combined with high torque stepper motors went a long way to helping us achieve this precision. 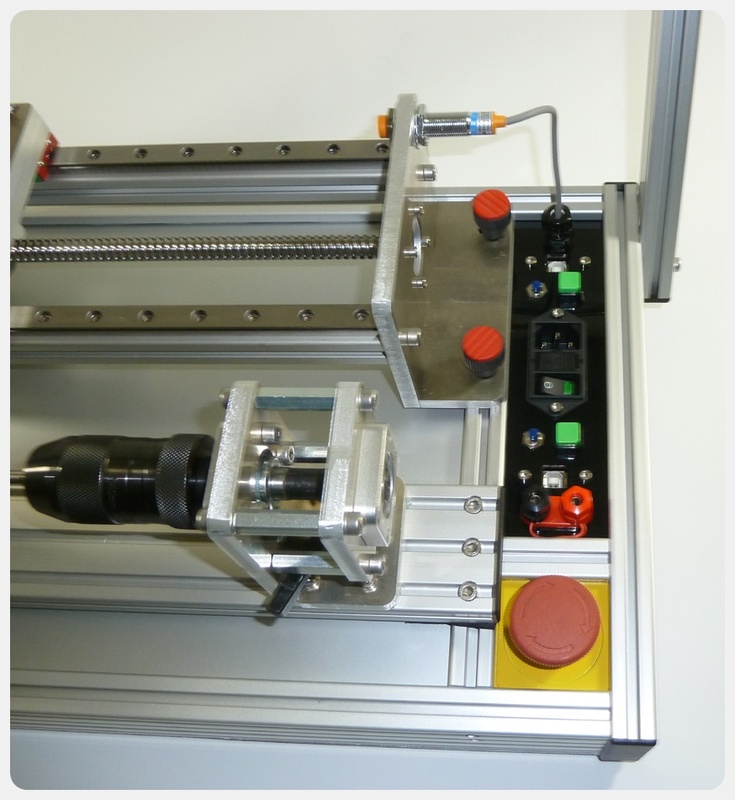 That combined with a dual processor controller and custom software gave the customer full control of the machine. The wire feeder arm runs along Hwin style rails which again adds to accuracy of the machine and the wire feeder itself combines ceramic feeder eyes, porcelain guide wheel, felt tensioner and ruby tipped nozzle to make sure the wire comes out straight and is positioned exactly where it is meant to be.